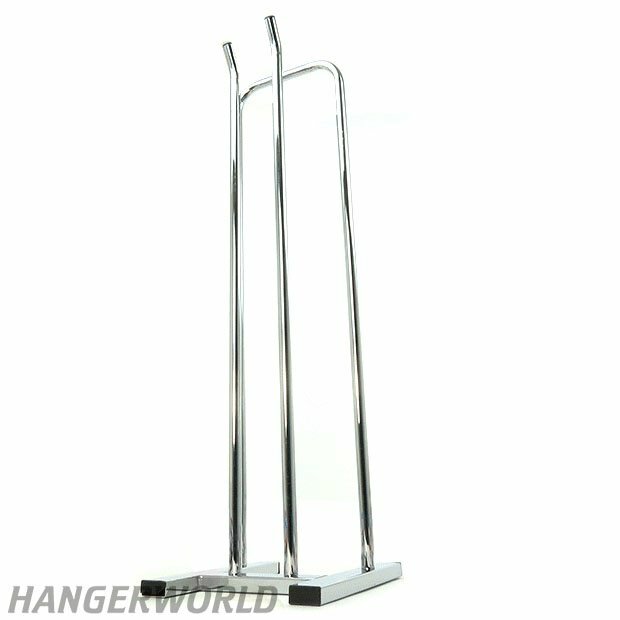 Premium quality hanger stacker, manufactured with heavy duty steel to make it robust and durable, and given an attractive chrome finish. Designed to provide a functional, and space-saving solution that keeps hangers neat and untangled instead of being strewn across the floor of your storeroom, or overflowing out of cardboard boxes. The product looks great in retail displays and gives the impression of professionalism to your customers. Also ideal in your home for tidying up bedroom closets or walk-in wardrobes etc. The hanger stacker has the ability to hold approximately 60 wooden hangers or 100 plastic hangers dependent on their depth. Suitable for domestic or commercial use. â€‹Capacity of approximately 60 wooden hangers. Size: Length x Width x Height 91cm x 31cm x 25 cm (12” x 10” x 36”) approx.